Hong Kong is a great city. And it’s also one of the most expensive cities in the world. Real estate there on average costs more than in London, meaning accomodation in Hong Kong can be very expensive. Note that when you’ll be thinking of going to Hong Kong. And even better – save this list of the best cheap hotels in Hong Kong we have prepared here to help you make your dollar go further. Some of these hotels aren’t that cheap, but they are here to give you a bigger choice. At the same time all of these hotels are some of the best value hotels in Hong Kong you can find. Whenever you’ll want to splurge in Hong Kong, check out this list of the best hotels in Hong Kong for amazing views. These views, rooftop pools, oh, they are awesome! Cheapest Hotels in Hong Kong? Now let’s take a look at the list of best cheap hotels in Hong Kong. Some of these hotels are located on the the mainland of Hong Kong, others – on Hong Kong Island. Some are closer to the airport than others, and some are just next to the beach. Yes, that’s also a possibility in Hong Kong, to stay next to the beach. All of them offer different types of rooms that range in size, level of comfort and not only. For all the options, more photos, latest price and user reviews check out these hotels on Booking.com – just click on the name of the hotel. Let’s go more into details now and take a closer look at these affordable hotels in Hong Kong. Price: Double room starts at 43 EUR. Check the latest price and read reviews: Booking.com. Is Hong Kong cheap? Nope. Can you find a cheap hotel or cheap guest house in Hong Kong. For example, here you see a popular budget hotel offering tiny rooms, located in Kowloon. It’s affordable and has a good location – centrally located, next to metro station Jordan and airport bus stop (A22). Yes, rooms here are tiny. But you can have your private bathroom. And it’s Hong Kong after all. So better go out and explore! Price: Double room starts at 93 EUR. Where to stay in Hong Kong cheap but with more space? And with more luxuries? Here is a great option – a cheap 5-star hotel far from city center. The hotel is located next metro station Tseung Kwan O, meaning you’ll have no problems getting into the city. The hotel features a pool, gym and restaurant. Price: Double room starts at 91 EUR. Thinking of staying on Hong Kong Island? Closer to the Hong Kong’s main business district? Here is one of the best cheap hotels in Hong Kong island. Sure, it’s not the cheapest option, but it’s good. From some of its rooms you can have a view of Hong Kong’s spectacular skyline. Price: Double room starts at 68 EUR. A very nice and affordable 4-star hotel on Hong Kong Island, in the Causeway Bay area, only a few minute walk away from the nearest metro station. Just a 15-minute walk away from the hotel is a park and a shopping mall. Guests are given free a smartphone to use (for unlimited internet & local calls), which means you’ll not have to buy a local SIM yourself. Great, isn’t it? Price: Double room starts at 57 EUR. A popular budget hotel in the heart of Kowloon. Next to the hotel is a metro (MTR) station and airport bus stop. There are lots of restaurants and shops in the area. A good choice if you need a cheap stay in Hong Kong, but also don’t want to sacrifice location. Price: Double room starts at 49 EUR. A popular budget hotel/hostel on Hong Kong Island offering both private rooms and dorm beds. One of the best budget hotel in Hong Kong. The hotel is only a very short walk away from Causeway Bay MTR station (metro) and features a rooftop garden. Rooms here are stylish and bright colored. Price: Double room starts at 61 EUR. An affordable hostel in Kowloon offering tiny private rooms and dorm beds. Slightly bigger rooms are available as well. One of the main reasons to stay here – perfect location. You’ll be only a 5-minute walk away from the Star Ferry pier, Harbour City Mall and Avenue of Stars. Price: Double room starts at 65 EUR. A very popular 3-star hotel in the heart of Kowlon area. The hotel is located just a very short walk away from the nearest metro station (Jordan). There is an on-site cafe. Rooms are air-conditioned and feature TV and a minibar. And they come with private bathrooms. Price: Double room starts at 76 EUR. 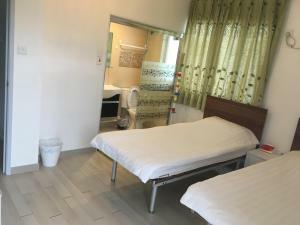 Looking for the cheapest hotel in Hong Kong near airport that’s not a crap? You may have found it. 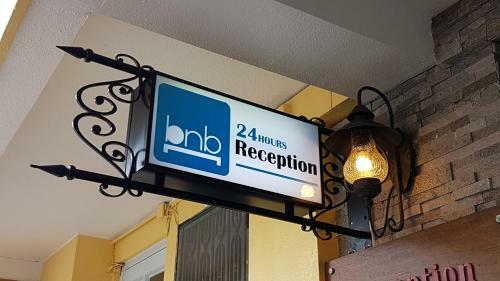 Located approximately a 10-minute taxi ride from Hong Kong International Airport this guest house on Lantau island is a good option if you want to save money and be closer to nature. Tian Tan Buddha statue, one of Hong Kong’s most popular attractions is about an hour walk away from the guest house. The same as far is the Lantau trail. A bed & breakfast close to the beach on Cheung Chau island, a short ferry ride away from the center of Hong Kong. One of the best cheap places to stay in Hong Kong, if you want to be closer to the nature. The guest house is located close to the ferry terminal and the beach. Dorm beds are available as well. Price: Double room starts at 86 EUR. A popular budget hotel close to the beach. And another great choice if you want to have a rest from the city. The hotel is located just a few minute walk away from the beach. There is an on-site restaurant in hotel. Price: Double room starts at 31 EUR. A cheap guest house in Hong Kong with great location. It’s situated in the famous Chunking Mansions complex, where you can find tens of other budget accomodation options. Rooms here are tiny, but, hey, you’re getting probably the best location in Hong Kong for the lowest price. Price: Double room starts at 77 EUR. An affordable hostel in Kowloon offering both private rooms and dorm beds. Located a short walk away from the nearest metro station the hostel features a lounge area, a shared washing machine and shared kitchen. Dormitory rooms come with lockers. Price: Double room starts at 71 EUR. A very good budget hotel far from the city center. The hotel is close to the nearest metro station, which means getting into the city will not be a problem. Some of the rooms have a sea view. There is an on-site Japanese restaurant. Price: Double room starts at 38 EUR. A very cheap hotel on Hong Kong Island offering tiny rooms with private bathroom. Again, same like in all of the cheapest guest houses in Hong Kong, private rooms here are tiny. There are also separate female dormitory rooms. Victoria park is a 5-minute walk away from the guest house. Your best bet – Chunking Mansions, a complex of several buildings where tens of cheap hotels could be found. For the lowest rates head over to the place and ask. From my own experience, this way it’s possible to find a room/bed for as little as 50% of what you would pay when booking online. Just enter the building and ask the first person – I need a room, can you help me? This is also where you should be looking if you want to find the cheapest hotel in Hong Kong near Kowloon. Because Chunking Mansions complex is located in Tsim Sha Tsui, Kowloon, a major tourist hub in Hong Kong. Which means that by staying there you’ll not only have found a cheap accomodation in Hong Kong, but you’ll also be very centrally located, close to main tourist attractions. Have you been to Hong Kong? Where did you stay?